In our next ‘Photo of the Week’ we are looking at research being led by Ruwan Abeysekera, a Postgraduate Researcher in the Faculty of Management. Mr. and Mrs. Paltha run a small business, manufacturing and selling incense sticks and wicks in a rural village in Sri Lanka. In 2009, Mr. Palitha, the breadwinner of the family, lost his job and as a result, the couple faced an uphill task to manage their daily expenditure with their two children. A local Microfinance Institution (MFI) helped the Palithas to start the current business by giving him a small loan without collateral and providing Business Development Services (BDS) such as business training, technical assistance, and market linkages. 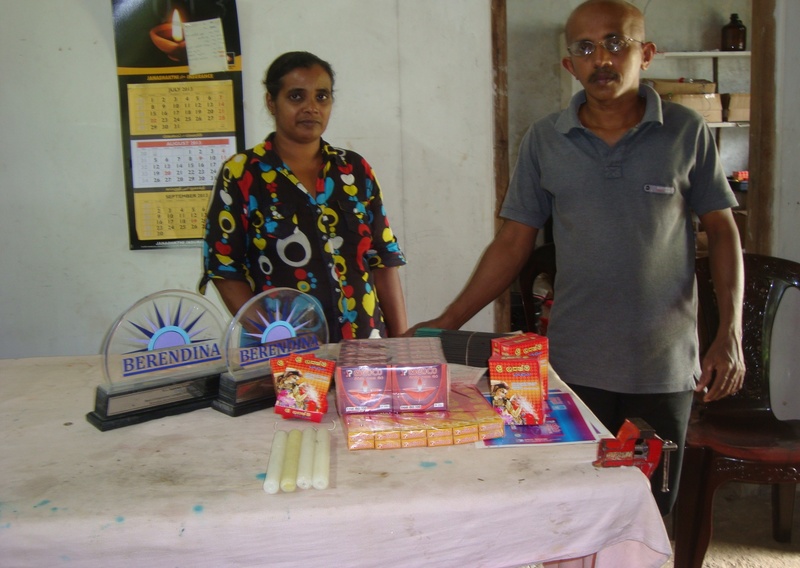 Today, Mr. and Mrs. Palitha run a very successful small business providing employment to three other villagers. In recognition of their achievement in business, MFI presented the couple with the ‘Best Entrepreneur Runner -Up Award’ in 2012. Ruwan’s study examines how MFIs collaborate/co-produce with small businesses to provide BDS. MFIs have helped small businesses grow and therefore contributed to economic growth and employment generation in Sri Lanka. For more information about the project, email Ruwan for further details. This was an entry to BU’s first research photography competition and you can view the entries to the most recent competition here. 26th May 2017 Photo of the Week: Employability After BU- Am I going to be prepared to begin a career where someday my name will be added to the FMC Wall of Fame?